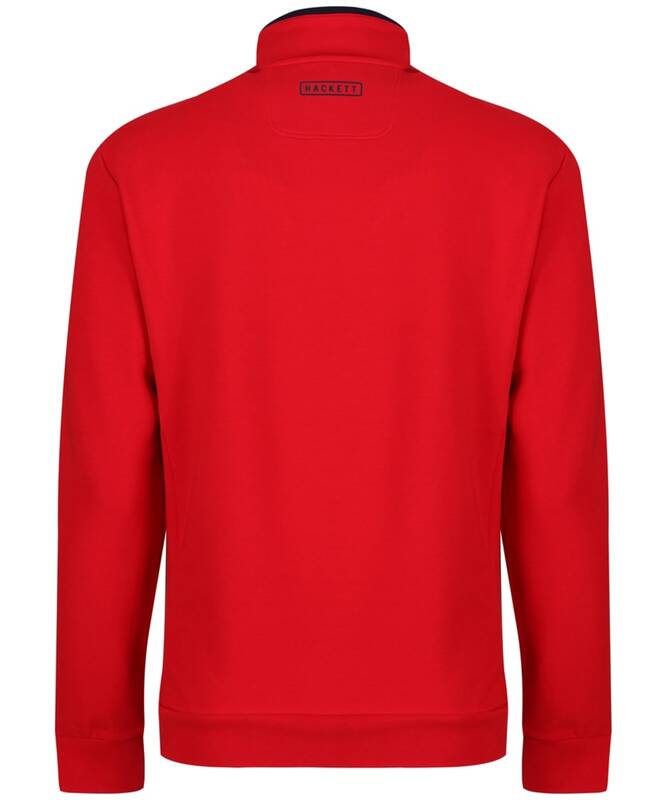 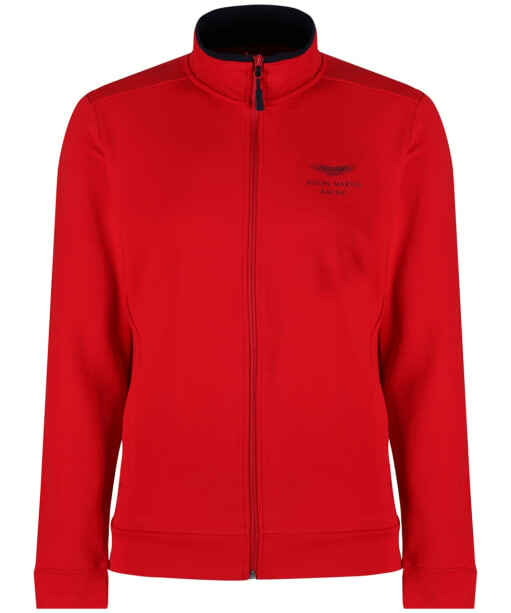 Instantly inject a pop of colour to your wardrobe this season with the Hackett Aston Martin Racing Sweater Jacket. 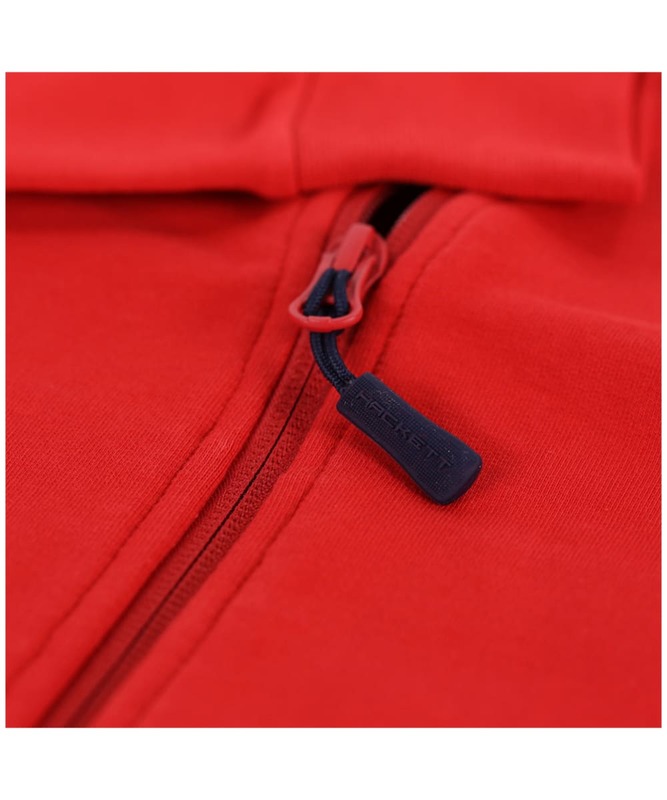 Cut to a classic fit from a blend of cotton and elastane to offer a neat and comfortable fit, this zip through sweater jacket includes a stand collar and ribbed hemline and cuffs for a perfect fit. 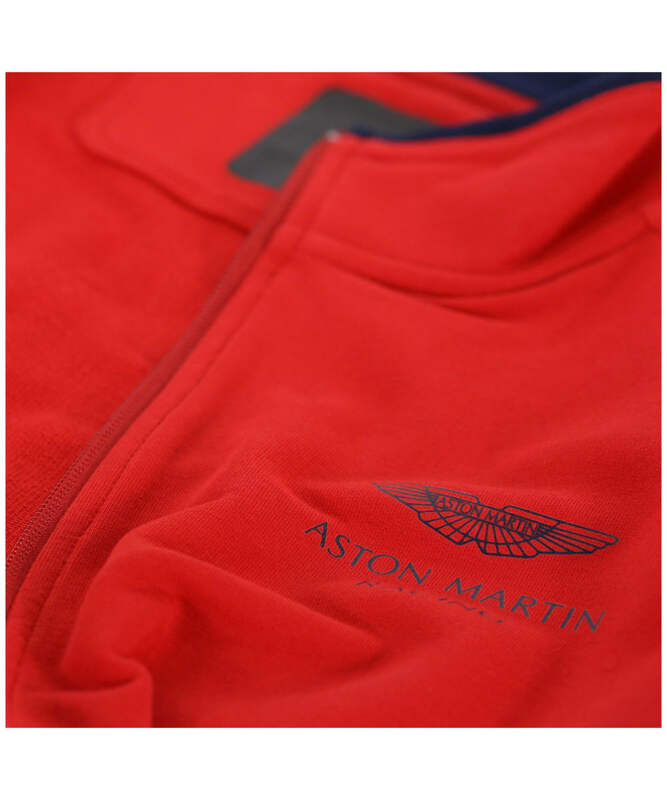 Contrast collar tippings and zips feature around the neckline, while the jacket is finished with both the Hackett and Aston Martin Racing logos.